'Tis the season of gift buying — but just two weeks from now — it'll be the season of returning. A new survey suggests some stores will make that process a whole lot tougher. Roughly two out of three people — about 69 percent — say they end up taking a gift back to where it was purchased, according to the National Retail Federation's Gift Receiving and Returning 2014 report. "I assume if you have a receipt and it's not totally damaged and screwed up, that shouldn't be a big deal," Matt Wallace told the I-Team, as he finished up his holiday shopping at the Americana at Brand mall in Glendale. 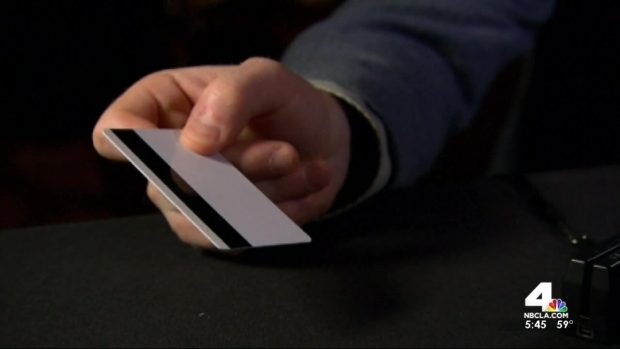 They're worried about a breach that may have compromised cards at major restaurant chains. Randy Mac reports for the NBC4 News at 6 p.m. on Friday, Dec. 18, 2015. 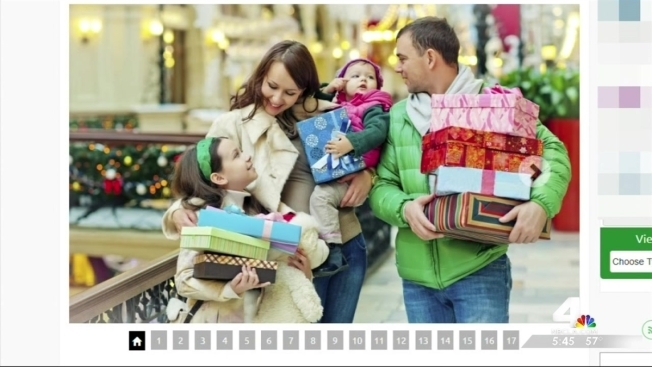 But according to a new survey by GoBankingRates.com, some popular retailers' policies can cause serious return headaches. The financial website studied the rules of 31 major store chains. "Forever 21 only allows 21 days — which is three weeks — to return something," said Elyssa Kirkham, the study's author and an editor at GoBankingRates.com. "And that's much shorter than the average 60 days we found in our survey. They were one of the only stores that we found that doesn't offer a cash refund. You can only get store credit or an exchange." A spokeswoman for Forever 21 had no comment about the survey, but said the company is relaxing its return policy for the holiday season. If you bought something on or after Nov. 9 you have until Jan. 9 to return it. Rounding out the bottom three, according to the survey: Kmart, which has a 30-day return window and won't accept returns made without a receipt, and Barnes and Noble, which gives you 14-days to make a return — though refunds are issued in the original form of payment. A new high-tech version of the Barbie doll is raising concerns among parents and privacy groups. Randy Mac reports for the NBC4 News at 5 and 6 p.m. on Dec. 17, 2015. GoBankingRates.com also identified the stores that make returns the easiest, with Nordstrom coming out on top. "They actually don't have a return policy," Kirkham said. "They actually don't have a return time limit. They don't really have a strictly laid out 'this is what we will do and what we won't.'" The second-best return policy, according to the survey, is L.L. Bean. Bed Bath and Beyond came in at No. 3. To see where other retailers ranked in the survey, go here.